For 3,5 days 16 members of “IG 14. 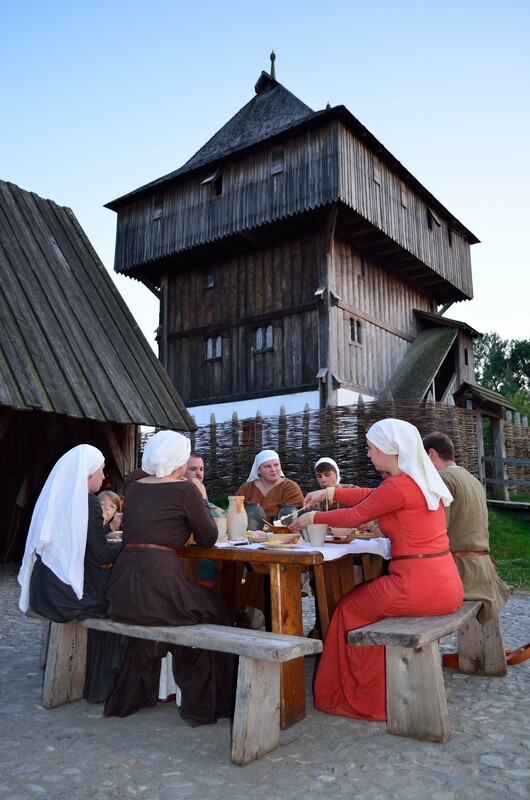 Jahrhundert in Österreich”, together with 2 reenactment friends, stayed at the german Bachritterburg Kanzach, to represent medieval daily life in the 14th century. Our main topic due to our four kids aged from 5 months to 15 years was “medieval childhood”, a topic we are going to discuss later in detail, as we have done a lot of photos this weekend. Apart from this we used our spare time to craft all kind of garb, tryout medieval cooking and had a lot of fun with a really great group!